Because invasive species pose one of the most significant threats to nature in our time, vegetation management is a crucial step in the conservation of our natural areas. And you can help! Spend an invigorating morning (or several!) as a member of the Severson Dells Conservation Crew, working alongside fellow volunteers to remove invasive species from the woods. Weather permitting, we may make a cheerful fire of the brush that we cut. We work from 9:00 a.m. to 12:00 p.m. on the second Saturday and fourth Monday of each month. 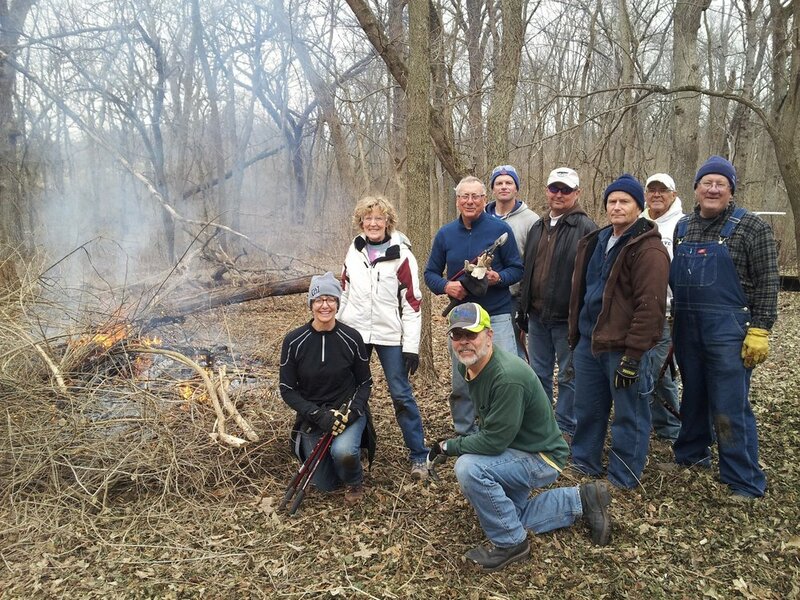 Join our Conservation Crew and help us restore the land at Severson Dells. Please contact Andrea at andrea@seversondells.org or 815-335-2915 for more information. Check the calendar of events to confirm restoration events.